The Career Services Committee is the division of the Association of Accredited Naturopathic Medical Colleges (AANMC) responsible for promoting and advancing graduate success at the member colleges. The mission of the AANMC Career Services Committee is to enhance graduate success through resources, and targeted events, advancing the careers and placement opportunities for naturopathic graduates. The Council of Chief Academic and Clinical Officers (CCACO) is the educational division of the Association of Accredited Naturopathic Medical Colleges (AANMC) responsible for the ongoing review of current practices and standards in naturopathic medical education and is an ongoing collaborative effort of the academic and clinical leadership of the accredited naturopathic colleges. The mission of CCACO is to further the development of superior educational outcomes for the naturopathic profession and advance the level of training and competence of naturopathic medical graduates. The Admissions and Recruitment Committee is the division of the Association of Accredited Naturopathic Medical Colleges (AANMC) responsible for promoting naturopathic medical education and providing an applicant pool to the member naturopathic medical colleges. 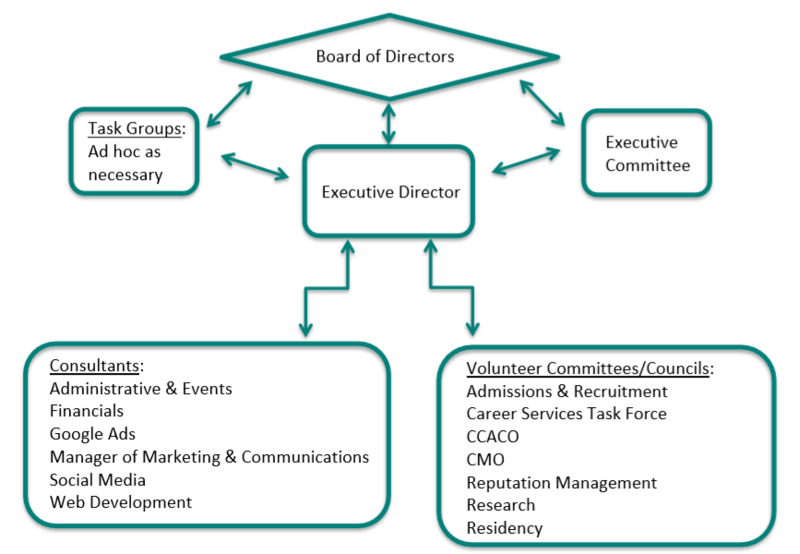 The mission of the AANMC Marketing and Recruitment Committee is to enhance individual and collective success of member organizations recruitment of high-quality, diverse and successful naturopathic medical students. AANMC supports the growth of post-graduate medical education (PGME) opportunities and serves as a resource to legislative bodies by offering information regarding the state of PGME in the profession. In addition, the AANMC serves as a resource to specialty board certification in the naturopathic profession by supporting their PGME requirements. The residency division of the AANMC serves the public by expanding the breadth and depth of education for naturopathic graduates. Learn more about naturopathic residencies now.